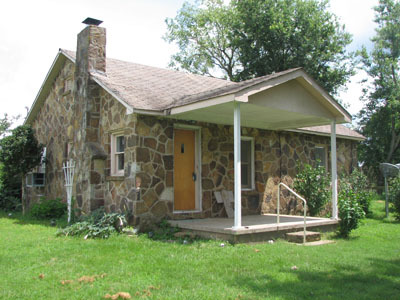 This is a picture of one stone house that happened to be for sale, with about 3 acres of land for about $90,000 US. Some of the wood around the windows was rottiong out, but the rest of the structure appeared sound. One of the beauties of stonework is that it can last for centuries and be as sound as the day it was originally built! 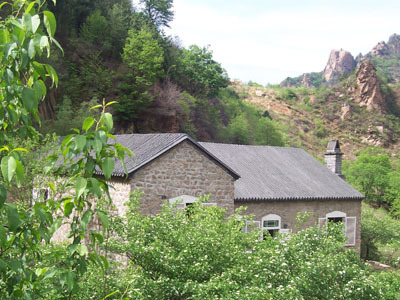 Once I got home I was delighted to get an email from Xinyuan, a young woman in China, who was proud of the stone house that she had made near Biejing and completed in 2004. She designed the house and got the help of local construction workers to build it. She expects this to be her retirement home. 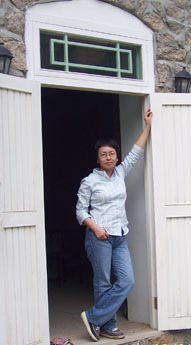 Xinyuan is a lover of nature and natural things and wants to promote natural building and life styles in China. 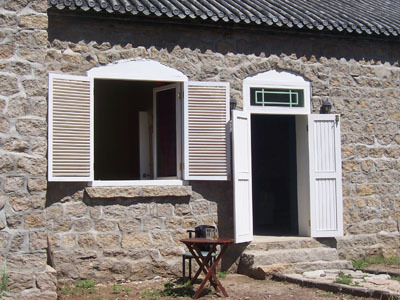 There is a tradition of using stone for building in this region. The house she made is obviously very well-built and quite handsome. The setting near the ruins of the Great Wall of China is also a knockout! Xinyuan would be happy to communicate with like-minded folks, and can be contacted at y.x1213AThotmail.com .